Spring is here and summer is on it’s way. The children are loving the warmer weather and already enjoying more time outdoors. With all of that, the signs of biting insects — itchy arms and legs — are beginning to appear! The past few days, I’ve been hard at work preparing and re-stocking our family’s herbal first aid kit. So today I want to share with you a few homemade remedies for dealing with itchy bug bites. Because each insect bite is different and our bodies react differently, don’t give up if something doesn’t work for you…just try something else. All of the above remedies are great to use when we are home, but when we are on vacation, camping, hiking, or road-tripping…I need something a little more functional and convenient. 1. Infuse your oil with the herbs (Read more here to learn how to make an herb infused oil). 2. In a double boiler, or small pot, over very low heat slowly melt the olive oil, butters, beeswax, and neem oil. 3. 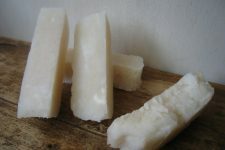 Once melted remove from heat and allow to cool slightly before adding the essential oils. 4. 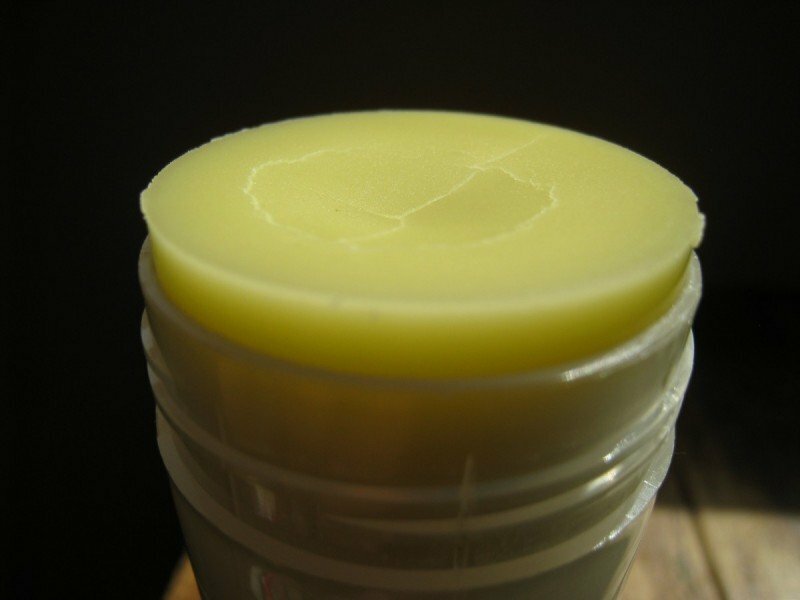 Pour mixture into a clean roll-up or lip balm tube and allow it to cool on the counter overnight. -This Homemade Itch Relief Stick contains herbs that have been well-known for their strong antihistamine, analgesic, and antibacterial properties. Not only will this stick stop the itch, but it may reduce the risk for infection! Bonus! 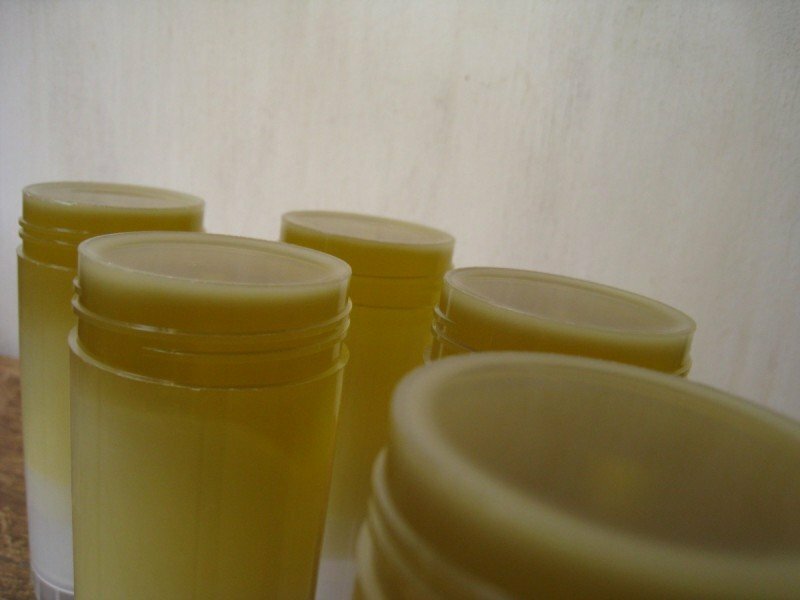 -The butters act as skin protectants to provide instant relief of itchiness and pain due to all sorts of insect bites and stings. -This recipe makes quite a bit — approximately 4 ounces of product — so go in with a friend or two and share resources! -Mountain Rose Herbs…they have everything you’ll need for this remedy! It’s your one-stop-shop! 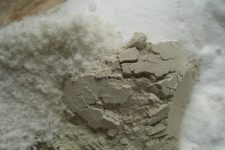 –The Bulk Herb Store also carries many of these ingredients if you’d like to price check. One more reason to get the calendula flowers going!! Yes! My seeds just sprouted and I keep willing then to grow faster. Haha! And to think, last time I grew Calendula, I didn’t use the flowers at all! My favorite outdoor activity, other than gardening, is watching my son place sports or playing a game outside with the family. We just love being outside. LOL Hard to pick just one. Boy do I need to get some of these going! The biting pests are already out since the winter was so mild. We have crazy mosquitoes here in the summer! This will be a good addition to my medicine cabinet! I love to garden and go fishing with my son! Well thank you for the opportunity and Happy Easter! this sounds terrific! I can’t wait to try it out. thank you so much for sharing the recipe! My favorite outdoor activity: playing with my kids, whether that’s running around the yard, going to a park, or catching bugs. I love it all! Last year I got into gardening, so we’re all looking forward to getting our garden started this year. Thank you for the great blog. I’ve never been one to follow blogs until Pinterest came along. Now, I’ve found so many great blogs to follow. Frugally Sustainable is my new favorite!! Neat idea! I have one child that freaks over all applied products, maybe she’d go for one that was homemade. My favorite outside activity? Sitting by the river at my parent’s property we’ve had since I was baby. Nothing is more comforting or peaceful! Can’t wait to make some of these my son’s exzema(sp) is so horrible he can’t use the store bought stuff it just breaks him out and makes him itch more. With this being natural hopefully it won’t do that to him. Oh, I definitely need to make (or win!) some of this. I spend a lot of time outside gardening and the bugs just love me. My favorite outdoor activity is watching the stars at night. I’ve done this since I was little. Always relaxes me. PS-Would you consider adding these to your Etsy store?? I used another homemade recipe but I might try this one for my second go around. My favorite outdoor activity is gardening ~ just me, my grandson and the bugs! I love beachcombing with my son and husband and having picnics. If I keep trying to make one of everything you recommend I am going to go broke getting all the ingredients! But I am so excited to try! I am doing a little here and a little there, inspired by my success with laundry detergent and all-purpose cleaner! We love going to the pool! Do I have to pick just one? :0) I’ll just use the general term….GROWING THINGS to encompass a lot of what I love to do….and watch “The Ladies” (our chickens) roam around and be free. My family actually prefers Andrea’s balm over the commercial stuff. We are happy to support her by purchasing her products. Just because I have the knowledge to make something doesn’t always mean I WILL. Sometimes I just have to let someone else do it for me. Thanks, Andrea for giving us options! My favorite outdoor activity would be gardening. Love my herbs! Favorite outdoor activity in our house…there’s more than one….dog training, cookouts/dining outdoors, bonfires. gardening on my deck. most of my plants are in containers, so I actually enjoy that type of gardening more then on my hands and knees in the dirt now a days! Right now, my favorite outdoor activity is taking my 5-month old on walks! Do I need to use ALL of those herbs, or just one or a combination of? Sorry if I’m confused. does it work on posion ivy? What a sweet giveaway! I’ll need and itch relief stick when after all the hiking/walking I want to do this summer. Realistically I’ll actually just be chasing the kids around outside! This would be so great! I get bit on my hands every morning when I go out to water during the summer. “Lazy” spring walks, just enjoying the flowers, birds and the 173 questions from my little ones. my favorite outdoor activity would be, once it gets warm enough, take my kiddo’s outside and begin on the garden, and clean out the flower beds. Thanks for sharing your recipes and salves! hmmm….too many to name…but really anything that evolves creativity, the outdoors….yup! Oh warm weather, where art thou?! Looking forward to this warm weather and even the bugs since they come with the warmness! Spending time with the family in summer is the best! my comment is great site!!! found you pinned to Pinterest. my fave outdoor activity is cruisin’ the alleys around here on what I call garbage walks. mostly I look into peoples’ gardens and scavenge for the stuff they love too much to trash but that they leave out to ‘karma donate’ and I make it over if we need it. I’ve met many of our neighbours, young and old, made a couple of good friends, and got loads of tips for our home garden which I also really enjoy. My favorite outdoor activity is hands down horse back riding! Hoping we can eventually move somewhere we can have our own horses! I’m very excited about this – bookmarked it. I just got my Calendula seeds from Horizon Herbs which I plan to plant next week. I was inspired by your Calendula posts last month and am very happy to have another use for it. We live in the “lakes district” and have dreadful problems with the mosquitoes who have already awakened this year. Thanks so much! I love horseback riding, skiing, just about anything to get out in the open air! Gardening or hiking. Thanks for the giveaway!! We are outside all day every day and we live in the swamp so there are tons of mosquitos around. We could LOVE something like this! I love to go hiking! Favorite outdoor activity: Hiking! It feels great to be in nature and to work my body. Our family loves camping and hiking!! We’d also love to find some natural relief for bites!! My favorite outdoor activity is golf. I’m outdoors a lot and enjoy working in the garden. Unfortunately, I’m allergic to mosquito bites. Apple cider vinegar is my best friend! What a neat idea! I just started reading your blog and it is incredibly informative! Gardening! I love working over the dirt! This will be wonderful for those times we are hiking and (rock)hounding. Can’t wait to try it! My favorite thing to do outside is sitting by the fire with my kids talking. My daughter is an absolute magnet for mosquitos. She gets bit when no one else does! I am. Trying to find a natural insect repellent that works weel, but in the meantime, this would be great. My favorite outdoor activity is lazing in the sun. Going chick shopping! We’ll be doing that this weekend to replace damages from a coyote raid yesterday. At least it helps the mood a bit! I also hope to get a bunch of friends together impromptu, to work on predator proofing the poultry! Might as well make it into another great activity, a potluck picnic!! I love hiking and camping. Just sitting outside and enjoying the fresh air, the sun, and the gentle breeze! My son and I plan to use our bikes a lot this summer. I would love to be able to try your itch relief stick. Thanks for sharing this recipe! We will try it. I’m also guessing this stick will be better than the Mosquito Control Truck that drives through our neighborhood at night with its sprayers on so as to continuously spray “repellent” into the air??? Yes, I know, how disgusting…but sadly I’m not making that up!! 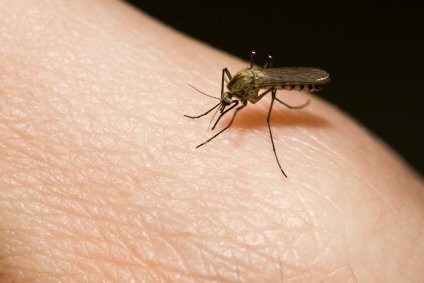 A drop of tea tree oil on a mosquito bite is effective at stopping the itch. I have to admit that I am not an outdoorsman by any stretch. However, my favorite outdoor activity is sitting around a campfire with my family and making s’mores. With all of the mosquitoes we have, one of your sticks would be used a lot! Love to spend time in our backyard with my boys…but I am a mosquito magnet! Seriously, the bugs in TN are wicked nasty! Would LOVE to try one of your sticks! And I’m making a mental note to plant calendula! I love being out in the garden, and camping in the mountains. Mosquitoes and chiggers think I am a feast, though, so I suffer every year. I can get Nettle and Calendula. Guess I need to do some planting! My favorite outdoors activity is I taking pictures especially of the ocean, rain, and family. Love your emails and your blog!! Awesome Job! This sounds amazing! We garden from spring till fall, and live on a river. I would love to have these to help with the after effects of being outside! Thank you very much for this recipe and thanks for the opportunity to win one of your tube. I love anything outdoors if it’s not too hot. I especially love taking my children camping which we will be doing a bit of this year. Love all of these homemade recipes! favorite outdoor activity is jogging! Having a cocktail in my backyard while watching my cat explore. I love playing outside with my kids – digging in the dirt, playing tag, looking for bugs.My 4 year old would live outside if he could! Definitely running and hiking with my family. I read your post on infusing the oil, but still wonder how much of each of the herbs to use to infuse say, 4 oz of oil? I am a beekeeper, and am really interested in trying this stick, as well as having on hand for family members who help me out occasionally. I try to make sure I have plantain growing in each of my beeyards. I generally just chew a leave and plaster it on the sting, but it’s hard to keep a poultice on for any length of time on busy hands. Really enjoy your blog! I am with you, I would like to know how much herb to how much oil? We love spending any time outside we can. I have to say gardening and swimming definitely top our list, as does camping! I have been sick the last few years but hope to get some family hiking in this year as well. he bugs seriously love us all. Love going outside and watching my little ones run around with the sheer joy of being outside. Also enjoy working in the garden together as a family. this stuff looks amazing! what a great, natural find! Gardening and walking in the fresh air … just being outdoors! My favorite outdoor activity is working in my organic garden. I love getting all those vegetables and fruits of my labor of love!! I also love my wonderful flowers! I love your site too! I made your peppermint foot cream as gifts for a women’s retreat and it was amazing and well received!! Thank you!! We love to go cycling together as a family! I have not been able to find calendula flowers or seeds but I’m still looking. Thanks for the giveaway. Swimming has to rank #1 outdoor activity with my and I. Dad, he likes working…go figure! I am going to have to try to find the ingredients for this. Last night my 8 year old came to me with bug bites asking if I knew of anything natural (he’s so my child!) that would help with the itching. There was one that he described as “ugly”. He reacts so harshly. I had to bow my head in shame and tell him that for once, Mom didn’t have a natural answer. My favorite outdoor activity would have to be playing ball with my dogs or gardening. We love to go camping in the mountains. If I am not lucky enough to win your homemade itch relief stick would you be willing to sell one? This looks great! I can’t wait for Spring to finally arrive so i can get out and start some gardening (calendula!) …the sun is only just starting to peak it’s head out from behind the clouds where I’m from! We have horses, dogs, a milk cow and her calf, plus 3 children and planning on a large garden. Outside happens ALL the time!! The sunshine is my favorite, so whatever I am doing outside is great, as long as the sun is shining!! My favorite activity is gardening. I have only been gardening a few years. I am so excited when I see my seeds germinate. I love growing my own food. Hiking in our backyard woods! my favorite outdoor activity is camping! I would love to win this, we have lots of mosquitoes here. I love to hike in the mountains. That’s awesome! I’m from a town with lots of mosquitoes. And my favorite outdoor activity is pole vaulting! Favorite outdoor activity? Planning to redo my front flower beds at the moment. We’re loving your Bug Repellent Spray here at our house…can’t wait to try this recipe for Homemade Itch Relief Stick! I love this! I can’t wait to try it! (I just finished my first infused oil (with Calendula) to make the Calendula lotion you posted recently.) My son is an outdoors-man, not to be contained within the house, so bug bites are sure to follow! I’m excited to have an all natural remedy to try! Thank you! This is a very interesting redipe. i will try it as soon as I can get the ingredients. Some are in my herb garden already. Thanks. I love hanging laundry outside, it sounds silly! My all time favorite outdoor activity has to be working in my garden. It’s a combination of flowers, herbs, vegetables, and berries. I also have to setup a “home” for my birdies and a place for the butterflies to visit. My favorite outdoor activities are going to the beach, bike riding, and walking. My favorite outdoor activity is sitting (or laying) and reading a book in the sunshine. My boyfriend & I like to go hiking in Southern Illinois (Little Grand Canyon) and we go jogging a lot too! my boys like to play outside and I like to work in my garden, this would be perfect to use! Playing with my boys..which usually involves stick…aka sword fights. Gardening, camping and hunting…. Love your site!!! My favorite outdoor activity? Floating on the lake on a warm summer day while I watch my kids and husband fish. Doesn’t get any better than that! I love a day at the beach, but a day by the pool isn’t too bad either. I live in a big city, so mine is gardening. I love digging in the dirt and seeing what I can grow! When I escape the city, I adore going hiking. I live up in the hills and we are outside all the time. If I am not in the garden, the kids and I are playing or walking. I would love to try this and maybe make my own. I enjoy camping. I don’t get to go camping as much as I want. I love to take a walk by myself outside. It gives me a chance to clear my head and tune into nature. One of my favorite outdoor activity is going walking through a state park and taking a picnic lunch, we carry our backpacks. I love to just “piddle around” in the yard. We live nestled in the piney woods of east Texas, so between the pine needles and the sweet gum balls, there is always plenty to do! Great idea! I wish I had time to make these things myself. Great ideas! I”m always looking for ways to reduce purchases, save money, and live more healthfully with fewer chemicals. I don’t think I have the patience for much more than the baking soda and water trick, but I’ll give that a try! Thanks! My favorite outdoor activity.. varies depending on my mood but lately I’ve just enjoyed sitting on my porch in the sun with a good book! Fishing, hunting, toes in the water, sitting in the swing with a good book…too hard to pick just one! Gardening, swimming, walking, or grilling! We love camping! And my kids seem to get eaten up every summer so one of these would be great. Thanks! I tend to enjoy just being outside in some way in general, even if it’s just sitting outside enjoying the air and reading. But it doesn’t matter what I do, I always end up eaten alive by the bugs. We love going on walks as a family! Well I’m not much of an outdoors person but my children are so I guess I would have to say sitting outside reading a good book and watching my children having a blast. My favorite outdoor activity is hanging outside with my kids while they play. I love watching them play and enjoy the outdoors. I also enjoy blowing bubbles and catching fireflys. These look fantastic! Would love to try them after camping! My favorite outdoor activity- hard choice, gardening is on the top of the list and a pleathora of activities that involve the Sierra Foothills outside Yosemite National Park. My favorite outdoor activity is definitely going on walks with my hubby and kids. We go every evening as long as it’s not raining or freezing. These look fantastic! Do they work on Fire Ant bites too? Living in the south I swear we get a new ant hill everyday. My favorite outdoor activity has to be gardening. Nothing feels better than eating your own food that you grow! I have some itches I need to soothe. Please let me win. By the way, I just love your site! So much information! We love to camp and hike in the summer. One of these would be awesome to have! I would love to try natural products on my family. Thanks for this offer!! My favorite outdoor activity is watching my daughter play in her sandbox 🙂 Second favorite is hiking in the redwoods. I love gardening, hiking, and camping. We got married outdoors in a state park so we are serious about the outdoors! My favourite outdoor activities are picnicking with good friends, and digging in my garden. I’d love to win one of these!! We practically live outside during the warmer months, so one of these Itch Sticks would certainly be put to good use! Fingers crossed! Does reading in the garden count as an activity?? Sounds awesome! We’ve had a super hard time getting rid of fleas since the winter was so mild this year and with my little mans super sensitive skin, he’s always itching! My favorite outdoor activity is finding a quiet place on a hike in the mountains and sitting to listen to the quaken aspen trees rustle in the wind. Oh My!!! I am so getting in to all the alternatives!! Learning so much from you! aka Healthy Wealth Wise & Other Junque! GARDENING!!! It is my Heaven on Earth!! My favorite outdoor activity is going for a walk. I love all your recipes! I’ve just ordered a TON of stuff from Mountain Rose Herbs and I am so excited to get started! I love going to the beach and colllecting seashells! I love gardening, hiking and camping. We got married in a state park so we are serious about the outdoors! mosquitoes love me ..but i dont love them !! If I don’t win I hope I have the patience and follow through to make this myself. I would love to get away from artificial anything! 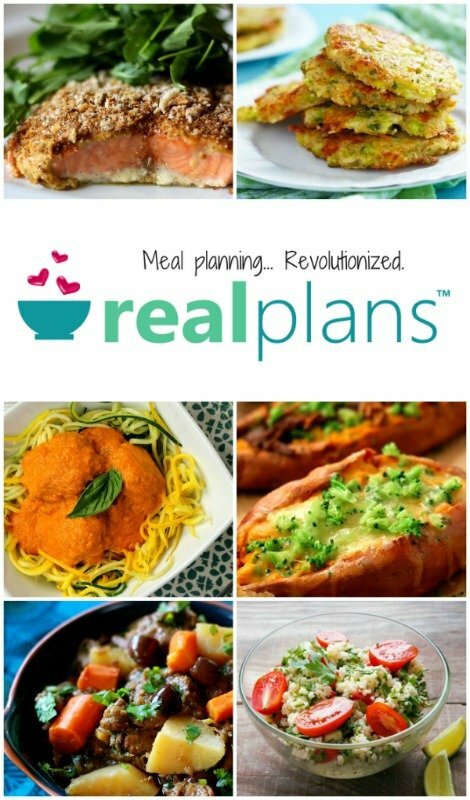 Thanks for posting your inspiring recipes and ideas for a frugal healthier more natural life! I love walking and taking hikes with my dog. (I already like you on FB, and follow you on Pinterest, and I believe get emails too–which I’m really glad for what you put out there…learned all sorts of tidbits n tips and, have been able to share some of mine too!) My fav outdoor activity is wandering the woods and countryside snapping photos (slow walks looking up, down, n all around–the funniest one was when i squatted down to snap a pic..I was standing on a bunch of oak leaves on a steep slope. There were some cool mushrooms growing out of a tree stump. Got my photos but lost my footing and landed in a ravine. First thing I did was check to see my glasses were still attached. Then I wiggled my toes and appendages to make sure they were intact only to realize, my phone and car keys were up in the car, and no one knew where I was….figured a way out only to get overrun a few minutes later by girlscouts! My newfound fave outdoor activity is frisbee! Mosquito bites drive me crazy…I would love to win one of these!!! If the sun is shining and the wind isn’t blowing, I’m outside working in the yard. Unfortunately the mosquitos think I am “food” for them…lol! like being outside – HATE the bugs. They seem drawn to me for some reason… I’ve always had problems with mosquitos! I would love to try this! We get eaten alive with all of the hiking my kids and I do during the summer. Would be wonderful to have for my grandson when he works in the garden with me! I would love to win the stick. I am made absolutely MISERABLE by mosquitos every summer and am usually slathered constantly in benadryl. I’d really love to try a natural alternative. I would love to win the no-itch tubes. Mosquitos LOVE me. Sounds great. Thanks for the give-away. DO YOU THINK DRIED CITRONELLA WOULD WORK INSTEAD OF LEMON BALM? This is exactly what I need! I live in Texas close to a lake and the mosquitoes try to carry us off. They are big and many! Thank you so much! What about using mango butter instead of shea butter? It’s so darn good for you. Thoughts on that? I was also thinking about some grapefruit seed extract. This sounds like a really terrific recipe; I’ve been thinking about making something to replace “cortisone cream” and this sounds great! I was just wondering, I want to make some of this now as I still will be doing out door things until November. If I make a batch up, how long is the shelf life on it? If I added vit. E oil, would that perserve it longer if it has a short shelf life? This is available for sale, but when you check out the price, it is $14.00 for one! This is a perfect example why not-so-safe-for-us products continue to be sold. I live on approx. $9,000 a year and am a single mom of 2 who chooses to homeschool. Healthy living is not an option for us if we choose to eat also. Also, before anyone suggests I make it myself, please research the costs to buy all the ingredients. We live in a very small apartment with no lawn space, no garden space, and would have to buy everything. This is an equally (or more so) expensive option. I agree that initially, there is a lot of cash outlay to get the ingredients. However, this stuff is very versatile. Wax, oils and butters can fill all your skin care moisture needs. Add some Sodium Hydroxide and a stick blender and you have your soaps covered. Then you have your house cleaners taken care of! You can start with commercial liquid castile soap to make your own cleaners, them move to making your own. Go in with a group of friends and the cost goes down. These are great homeschooling projects. I don’t understand why you felt the need to complain here. She showed you how to do something. Didn’t work for you. OK, move on. My husband and I are college students full-time and are on a limited budget also. We don’t receive food stamps due to lack of children. I believe you do get food stamps right? We manage to eat all organic and high fat much reasonable then most in our age bracket eat for. We also don’t have children… we hand make our snacks.. no box or can foods for us! To expensive and unhealthy. But!! The majority of farmers markets will accept food stamps and whole foods accepts food stamps also. You should be able to use your EBT at whole foods for your meats and they have really good deals sometimes on fish and ground beef. You aren’t going to be able to order from a local Co-op but you could do better the conventional. 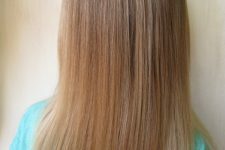 I know the heathlyhomeeconomist did a post on a single mom who is a hairdresser that feeds her family almost all organic and quality meats/ Raw milk/ healthy fats on EBT alone. I also like what the above reader posted.. because yes.. there is a start up cost.. but you should get a tax return due to an earned income credit for having two children.. If you take even 100.00 that would go a LONG way. I am sure you would find that these items can be used in so many different ways that it is CHEAPER for you. It is the case for us. You don’t have to worry about running to the store to get your toothpaste. You have it on hand in large amt. of stock. Every time you walk into the store 50.00 percent of your buys will be impulses purchases.. just by limiting the amt. of times you run into the store (is proven) to save you money. Have you ever read the book about American’s most frugal family? I think they had like a family of 5 and lived on 15,0000 a year with a paid off house and cars and no debt.. this was one of their tips. I think that Andrea actually lists this book in her resources? Maybe I am wrong about that. We don’t own a garden. We have a small kitchen. No lawn space. Maybe just get creative -) I am sure that it feels overwhelming but baby steps are the best place to start. I really think I need to try some of your home remedies. We love to walk outside together and talk. My fourteen year old son and my four year old daughter have a blast walking and talking and running and laughing! Making memories outside is awesome! I would love to try this anti-itch stick for my daughter who was recently diagnosed with Roseola. Thanks. I am new to all of this and want to make the infused oil basse for this recipe. My question is how much of each herb does it take to make the infused oil? Do you put the same amount of each herb into the oil or does it vary depending on the herb? Can’t wait to make this since we have chiggers (hoping it works on their bites) and mosquitos like crazy in Texas! i have the same question as christina. how much of each herb to you put in to make the infusion. would really appreciate the help. my daugther gets eaten alive by mosquitoes.